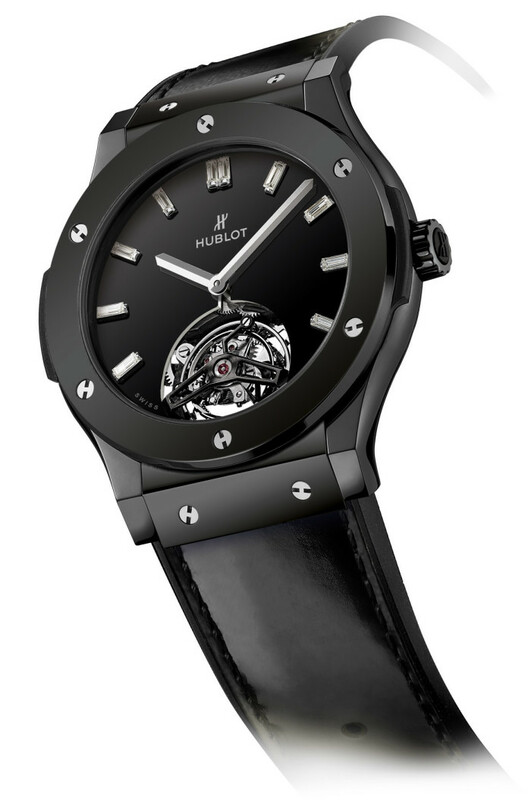 The Hublot Classic Fusion Tourbillon Night Out is a watch designed for the red carpet. 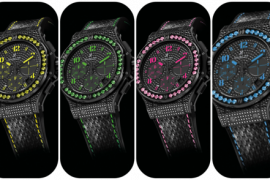 Hublot hopes the newly unveiled watch designed with evening attire, especially the tuxedo in mind will be seen around the world on the red carpet this award season. The 45mm watch housed in a black polished ceramic case features a black lacquered dial. Its hour markers are set with 10 baguette cut diamonds, with flying tourbillon located at 6 o’clock doubling as 5 and 7 o’clock indicators. 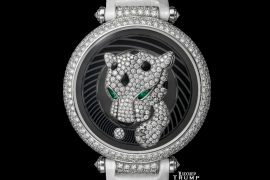 Hours and minutes are indicated by polished rhodium plated hands. Powering the Hublot Classic Fusion Tourbillon Night Out is fully in-house manufactured skeleton MHUB6011 hand-wound movement (155 components). 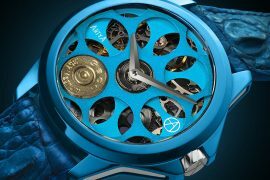 Movement carries an operating frequency of 3 Hz and a 120-hour power reserve. 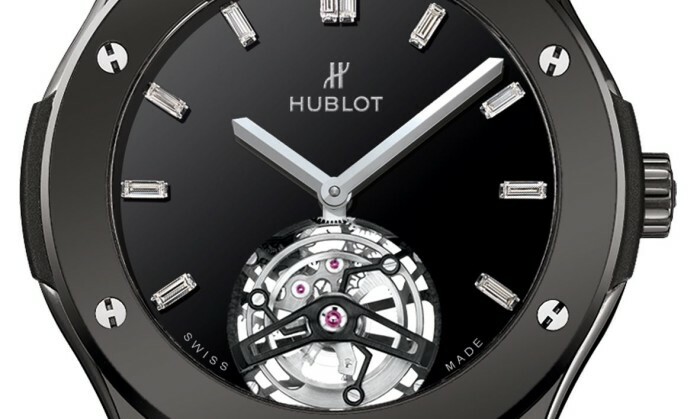 Visible through sapphire crystal case-back, the 19-jewel movement has been adorned with rhodium-plated balance. Completing the timepiece is an elegant strap of shiny black calfskin sewn onto rubber, with Clasp Black PVD steel deployant buckle, making it the perfect accessory for the gentleman in evening wear.